Uncle Tom’s Cabin is a very bad novel, having, in its self-righteous, virtuous sentimentality, much in common with Little Women. Sentimentality, the ostentatious parading of excessive and spurious emotion, is the mark of dishonesty, the inability to feel; the wet eyes of the sentimentalist betray his aversion to experience, his fear of life, his arid heart; and it is always, therefore, the signal of secret and violent inhumanity, the mask of cruelty. Uncle Tom’s Cabin—like its multitudinous, hard-boiled descendants—is a catalogue of violence. This is explained by the nature of Mrs. Stowe’s subject matter, her laudable determination to flinch from nothing in presenting the complete picture; an explanation which falters only if we pause to ask whether or not her picture is indeed complete; and what constriction or failure of perception forced her to so depend on the description of brutality—unmotivated, senseless—and to leave unanswered and unnoticed the only important question: what it was, after all, that moved her people to such deeds. 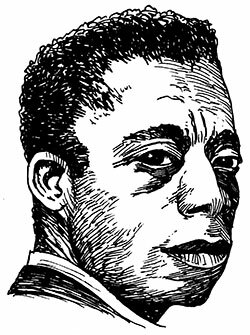 Click here to purchase Notes of a Native Son by James Baldwin. From Notes of a Native Son, by James Baldwin. Copyright © 1966, renewed 1983, by James Baldwin. Reprinted by permission of Beacon Press, Boston.